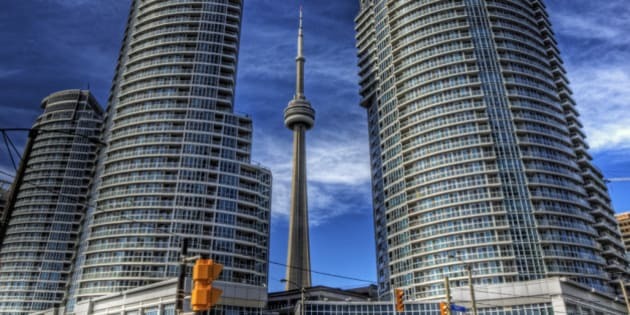 TORONTO — A new report from the Canada Mortgage and Housing Corporation says Toronto, Regina and Winnipeg face a high risk of a housing correction due to a combination of factors including overvalued home prices. The CMHC report says a rapid increase in home prices this year and overvaluation are responsible for the high level of risk in Toronto. Back in April, the national housing agency had pegged Toronto as having only a moderate risk of a correction. CMHC also says Winnipeg faces a high level of risk due to overvalued home prices and overbuilding. In Regina, rapid price growth, overvaluation and overbuilding, especially of condo units, are responsible for the high risk rating. CMHC says housing market risk in Vancouver, one of the country's priciest real estate markets, is low, as none of the individual risk factors that the agency examines are present. CMHC's house price analysis and assessment aims to identify potential risks in Canadian real estate by evaluating economic, financial and demographic factors. The agency uses four factors to identify the level of risk present in regional housing markets: overheating of demand, accelerating price growth, overvaluation of prices and overbuilding. "Nationally, CMHC continues to detect a modest risk of overvaluation," Bob Dugan, CMHC’s chief economist, said in a statement. "However, our overall assessment of the risk of problematic conditions varies from centre to centre due to regional differences in housing markets. Imbalances in local housing markets could be resolved with further moderation in house prices or improving economic conditions."